The following is a review of The Beginner's Bible from Zonderkidz with the TOS Homeschool Review Crew. The Beginner's Bible is one of the children's Bibles from Zonderkidz which has become a traditional gift in our family. 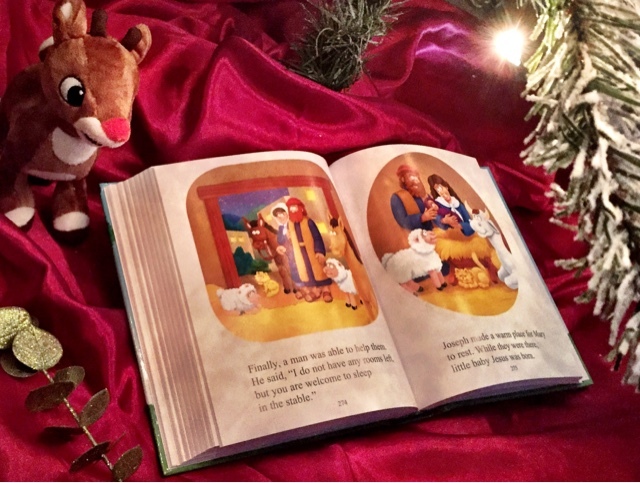 This classic way to introduce children to Bible stories was first introduced to our family bookshelves when my grandparents and great aunt and uncle visited us on the coast almost twenty years ago to welcome our first baby to the family. They gifted her with a sweet Bible. She still has it! In fact, all three of our children received these. This award winning hardcover Beginner's Bible is appropriate for both pre-readers and new readers, approximately up to age 8. It has engaging pictures for a picture book or read-aloud and with the large print words it also works as a first reader for young children. The all new 3-D artwork gives a lovely depth to the images. 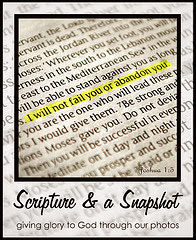 Over 90 stories cover highlights from both the Old and New Testaments (forty-eight stories from each. )The large color pictures cover more than half of every page. It starts with "The Beginning" from Genesis 1 covering creation and the Garden of Eden. We recently visited young family members and decided this Bible would be the perfect gift for their toddler. Did you have any Bibles wrapped under your Christmas tree? My husband just received a new Bible. One of our family traditions is to read the Christmas story together from the book of Luke on Christmas morning. The corresponding stories in this book include the angel visiting Mary, the birth of Jesus, the shepherds visiting, Simon and Anna visiting, the bright star and three more visitors, and the angry king. The book, chapters, and verses are shared under the chapter title of each section. "God put a beautiful rainbow in the sky. never flood the whole earth again." Every time I see a rainbow, I remember learning as a child of it being a sign of God's promise. He keeps his promises. Don't you love the story of Jesus and the children? The references shared for this are from three of the gospels: Matthew 19:13-15; Mark 10:13-16; and Luke 18:15-17. "The children loved to spend time with Jesus. come to me. Do not keep them away. Then Jesus blessed the children." The happily ever after truth at the end references the book of Revelations. "Then Jesus promised, 'I am coming back soon.'" A three page dictionary is also included at the back of the book defining all of the words which were shared in italics throughout the stories. We think The Beginner's Bible is a great gift! Find this and many other resources for parents and teachers on the website including a free app with audio stories and games.